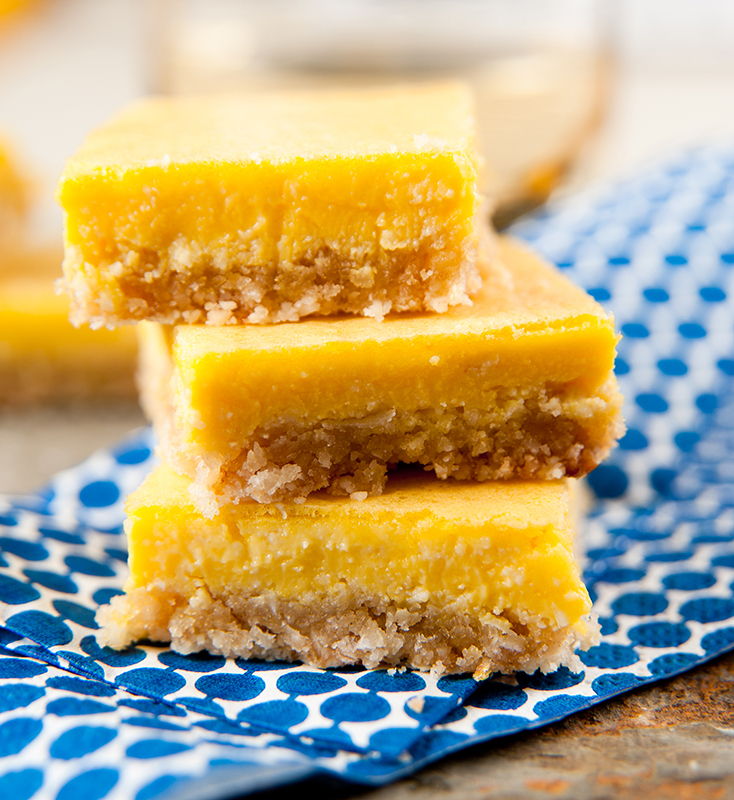 These bars are very similar to the infamous lemon bars, only made with Uncle Matt’s Organic Orange Juice! Preheat oven to 350F. Line a 9×13” pan with foil or parchment paper and spray with nonstick cooking spray (preferably organic). 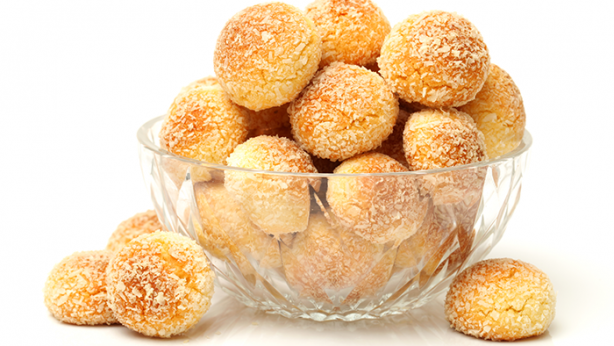 Beat butter with a hand or a stand mixer until creamy, then add the flour, sugar, and salt and beat until a dough forms. (If you’re using a hand mixer it will take extra time.) Press the crust into the bottom of the prepared pan. Bake for 18 minutes. A few minutes before the crust comes out of the oven, prepare the filling. Place all filling ingredients into a blender jar and blend until smooth, a few seconds to almost a minute, depending on your blender. Carefully pour filling over evenly over hot crust. Return to oven and bake until the top is no longer jiggly, about 20-23 minutes. Cool completely before dusting with powdered sugar and slicing into bars.